In the “coach” section of a Boeing 747-400. There was a story in the paper Tuesday about changes in air travel. It said airlines were beginning to offer passengers goodies or extra services in exchange for additional fees. That’s bound to make air travel even more burdensome than it already is for those passengers who either can’t or won’t pay extra. For example, the story mentioned paying an additional fee for a seat in a row with ample legroom. But in order to generate those fees, airlines would be tempted to make regular economy class — or “coach” — even more cramped than it already is. The newspaper story, by the Associated Press, said another extra-fee feature might be an unused, empty seat next to you. Again, the most obvious and likely result of that is to make regular seats even narrower so that in order to be able to move your arms at all, you’d have to buy the empty seat in addition to the one you have. Wow, “undemocratic”! Just think, if we had democratic rule, we could vote on whatever we wanted the airlines to provide for us! We could have couches and all the leg room we wanted! We could have free steak! We could have a stewardess for every passenger! We could have dancing girls! And all for $10 ! Oh snap! Then the airlines would go out of business! The stewardesses would lose their jobs! We wouldn’t have couches! And the poor dancing girls would be on welfare! Hmmm, maybe “democracy” isn’t all it’s cracked up to be. Perhaps that’s why the Founders of this country were so adamantly against a democracy ruled by a majority vote and instead gave us a Republic ruled by law. Perhaps allowing a private business to do what it deems best is a better idea after all. Perhaps knowing the difference between the two is vital to our survival (as well as to the survival of the airlines)! Isn’t it funny, how “democracy” has seeped into our lexicon and thinking. Isn’t it funny how the farther away we get from our founding principles the more democratic we have become. It’s really NOT so funny – in fact it’s downright scary! Guy Maarch: I have been traveling by air for over 30 years. It has gotten to be a burden when it used to be a bit of an adventure. I’ve watched as the seats were pushed closer together and we were given less amenities. At one point, I had some human factors data that gave the dimensions that percentiles of the US population found comfortable. So the next time I was on a plane I got out my dollar bill and made measurements of seat width, elbow room, and knee room. Then I compared it to the data I had. Only the 5th percentile would find it comfortable. 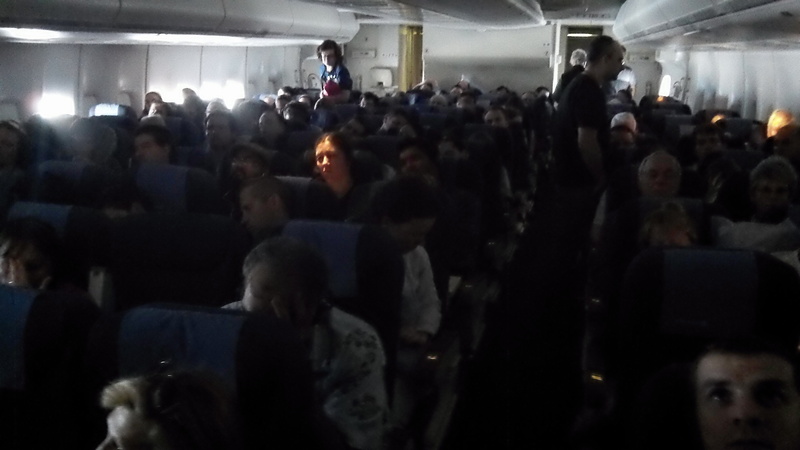 And that was before they started refitting the planes with more seats. The human factors data is what is used for the design of such things as fighter jet seats, cars, desks etc. I agree with your thoughts, but the thing is that they have been doing this for years already. Now there is talk of overweight people needing to buy two tickets. So, yeah, make the seats smaller so that we can get a larger population into that group. I’m not sure why they are not making money. The planes are typically full and the prices have risen and they charge for everything they can.